Dream Swim was founded by people with considerable yachting background experience, and genuine passion for the sea. Our goal is to provide our clients with excellent services, and ensure that you will have the best vacation memory after riding one of our boats. All our boats are fully equipped to offer you maximum safety and comfort during your trip. Utmost safety and untroubled trips are our goal and priority. By insisting on thorough maintenance, we eliminate the possibility of you having to deal with disturbing mishaps, and we guarantee the excellent functionality of our fleet. 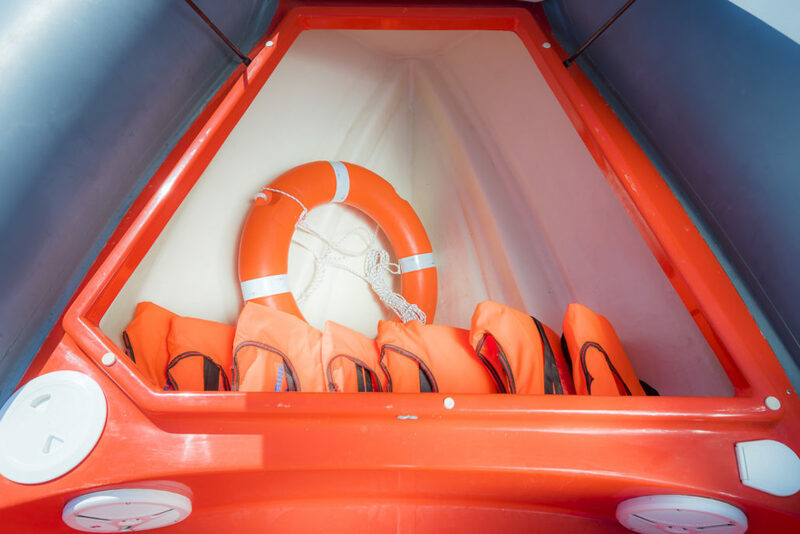 But even in the case of an unlikely event, our boats are equipped with life jackets for each passenger, a fire extinguisher, a first-aid kit, ropes and a boathook. Furthermore, there is an auxiliary engine that ensures you will be able to handle you boat, even if the main engine stops working. But the most important gear is the Satellite monitoring system (GPS trackers) that our fleet is equipped with, so that we can immediately reach you with our rescue boat. Apart from guaranteeing maximum safety, we have made provision for a comfortable and fun trip. Driving any of our boats is really easy; with a wheel just like that of a car to steer, a lever to control your speed, and a power trim to handle your engine, you are not going to face any problems while sailing. We also have taken measures to protect you from high temperatures, especially in the summer period, as the temperature can reach truly high levels, and protecting one’s self from the sun is always a priority. The best way to do so is to drop anchor and lay under the bimini top, while enjoying a cool drink kept in your icebox, or even better have a quick dive in the turquoise waters of Diaporos Island. Let’s not forget that music is another really important component of an enjoyable journey. Thus, our boats are equipped with an MP3 player with USB and AUX ports, so you can listen to your favourite tunes. And if your phone battery runs out, then there is a car charger port. Our bigger boats, which require a skipper license to rent, are equipped with even more gear. Besides what is more or less standard, they also carry VHF, a GPS plotter, and an electric anchor winch. This equipment helps you navigate your boat at ease, and guarantees maximum convenience, as you may be alone in the open sea. In a nutshell, our fleet of luxurious recreational boats is brand new, the boats meet high navigational standards and are fully equipped to satisfy even the most demanding clients. Combined with our expertise and genuine passion for the sea, our fleet turns the fascinating yet safe holidays you have always dreamed of becoming a reality. What to expect from your boat trip Renting a boat, a unique experience nobody should miss!